One of the main advantages of Dr. Edalat’s cosmetic dental studio is that you can complete your entire treatment by certified specialists who communicate in detail all aspects of the treatment that are interrelated for optimal results. Most patients don’t like the inconvenience of having to go to different offices to complete their work. There is also the risk that the timing sequence to complete a certain treatment when it is being done at different offices may compromise the final result. Also since the work is being done in different offices there may be a mis communication between the referring doctors which may also compromise the final result. Invisalign is a unique method of orthodontic treatment which uses a series of clear, removable teeth aligners used as an alternative to traditional metal dental braces. As a specialist in Periodontics, Dr. Maryam Edalat is in a unique position to diagnose and properly plan a case that may be in need of periodontal therapy as well as cosmetic enhancement.We now know that when teeth are properly aligned, the gum around the teeth fits tighter, thereby reducing the accumulation of food particles, plaque and bacteria which lead to periodontal disease and bone loss. It is far easier to floss and clean in between teeth that are not crooked or crowded. Dr. Maryam Edalat is a 2013 Preferred Invisalign Provider as well as a Periodontist. She provides Invisalign treatment in her office not only as a cosmetic option for her patients who want a straighter, more beautiful smile, but also because periodontal literature clearly illustrates that straighter teeth mean healthier gums, prevent bone loss and gum recession all of which lead to premature tooth loss. What may seem like a small movement can vastly change a smile! Protecting teeth from excessive forces and straightening crowded teeth not only enhances a smile but helps create a cleaner environment for the gums. 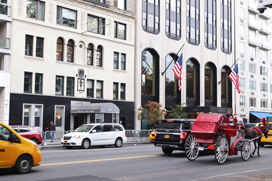 At Cosmetic Dental Partners in NYC, Dr. Maryam Edalat offers patients who are interested in straightening their teeth with invisalign the opportunity to view their treatment and final placement of teeth on the computer even before treatment has begun. No traditional wires or brackets to be seen. Removable, so you can eat, brush and floss as you would normally. Treatment time averages between 6-14 months. Affordable and Effective- Extended payment financing is available. You can straighten your teeth discreetly with Invisalign®. 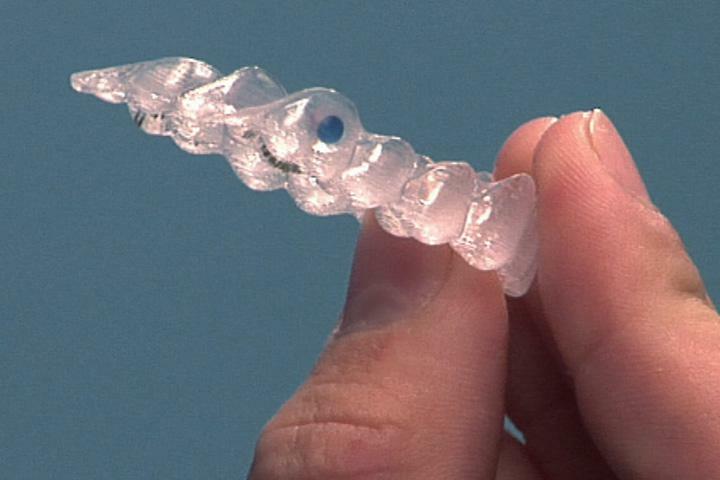 Made of a clear plastic, the aligners are custom-fit to you. To plan your treatment, we’ll first discuss your goals for your smile, and determine if Invisalign® is appropriate for your case. Then, we’ll take x-rays and a photo of your smile. We’ll also take impressions of your teeth. We’ll use your custom models to create your treatment plan. The Invisalign® software allows us to see how your teeth will move into their final positions. You will receive a sequence of aligners designed to move your teeth through each stage of your treatment. Treatment time varies, but most people receive 20 or 30 sets of aligners. You’ll wear each set of aligners for about two weeks, and then replace them with the next set in the series. Invisalign® is good for professionals who want to minimize the appearance of braces. Because they’re removable, you take them out to eat, brush, and floss. 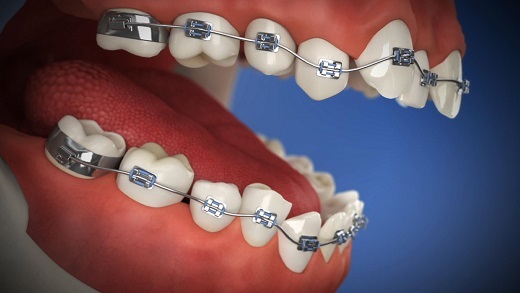 They don’t have any metal, making them more comfortable than traditional braces. Invisalign® can be a good choice to help get your teeth in their healthy alignment, and give you a beautiful smile. Teens now have a clear choice for braces. If we think they’re right for you, you can get nearly invisible braces with Invisalign Teen®. To be a candidate for Invisalign®, you must have lost all of your baby teeth and your second molars must be partially erupted. We’ll take x-rays of your teeth and jaws, photos of your smile, and impressions of your teeth. We’ll create a treatment plan and send it to the lab. There, your information will be digitized into a 3-D model of your case, and your aligners will be fabricated. Each set is designed to gradually move your teeth into their proper positions. The aligners also have a power ridge that, where needed, puts extra force on certain teeth to encourage necessary root movement. Treatment time varies, but most people receive 12 to 25 sets. To help teens remember to wear them, the aligners have a blue dot. When worn as directed, the dark blue dot fades to light blue. Teens, parents, and doctors can tell that the teens are wearing them as instructed. The aligners have no metal, so they’re more comfortable than traditional braces. They can be taken out for eating, drinking, brushing, and flossing. You can wear them while playing sports, or brass or wind instruments. 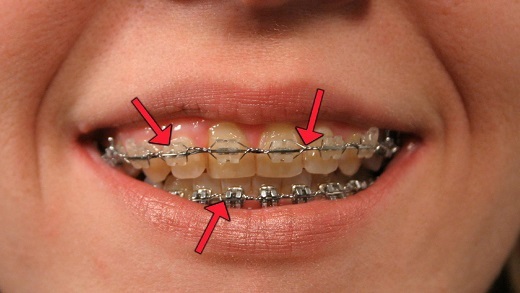 They are nearly invisible, so teens don’t have to be self-conscious about wearing metal braces. But, you must remember to wear them almost 24 hours a day. 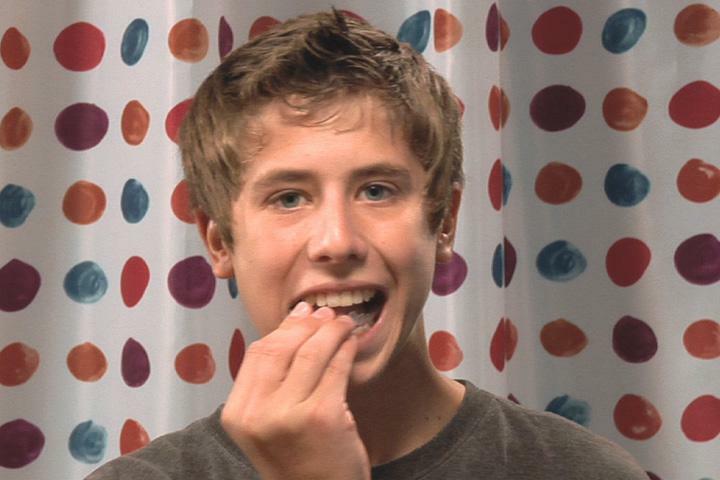 Invisalign Teen® can be an easy way to get a straight, healthy smile. And a healthy smile can last a lifetime. A bridge is a fixed, partial denture used to replace missing teeth and keep surrounding teeth from shifting. To place the bridge, we may need to remove some tooth structure from neighboring teeth, even if the teeth are healthy. And, you’ll have to learn special hygiene techniques to keep the bridge clean. An implant replaces a missing tooth. A titanium cylinder is surgically implanted into the jaw bone and then fitted with a crown. A crooked tooth can be restored with a natural-looking porcelain crown. But we must remove some tooth structure to place the crown, even if the tooth is healthy. Veneers are porcelain overlays that can straighten teeth or close gaps. To place them, we might have to remove some healthy tooth structure. Bonding is a process that applies an adhesive material to improve the shape and color of your teeth. Other than orthodontics, bonding is the next best technique for healthy teeth in need of minor cosmetic adjustments. To place braces, a bracket is secured to your tooth and threaded with a wire that, over time, will straighten your teeth into a comfortable, healthy bite. If you’re a good candidate, you may be able to use clear aligners that contain no metal and are virtually invisible. If you choose not to straighten your teeth, you increase your risk for tooth decay, excessive tooth wear, periodontal disease, headaches, sore neck and shoulder muscles, and painful problems with your jaw joints. We’ll discuss your options and recommend what’s best for you. We want to help you get a healthy, beautiful smile that you’ll love to show off. There are other alternatives that are less expensive than Invisalign treatment and that also serve for more complex cases that Invisalign treatment may not be indicated. Below is a detailed explanation of the alternative treatment options. It’s not always easy to brush and floss well, and braces can make it even more challenging. Because brackets and wires can trap food and plaque, we recommend brushing and flossing after every meal to fight tooth decay and bad breath. Use a pea-sized amount of fluoride toothpaste on a soft bristled brush. Brush normally but make sure you brush well above and below the archwires. We’ll be happy to review proper brushing technique with you. We may also recommend a proxabrush. It’s a small brush with a tufted head that fits into tight places. If you don’t brush, plaque can build up around your braces and cause unsightly white spots on your teeth that will be obvious once the braces are removed. These spots are permanent. Flossing is also very important. You need to be diligent about flossing at least once a day. A threader can make flossing easier. Pull the floss through the loop of the threader, and push the straight end under the wire, pulling the floss through. Make sure you floss both sides of every tooth. Superfloss might also make the job easier. It has a stiff, straight end and a tufted center section. Thread the stiff end under the wire, and use the tufted portion to floss between your teeth. We may suggest using a special flosser made just for braces. You simply slip the thin arm under the archwire and floss each tooth. We may also recommend special tools and rinses to help you do a more thorough job. Eating with braces takes a little extra care. Avoid chewy or sticky foods that can be difficult to clean off of your braces. 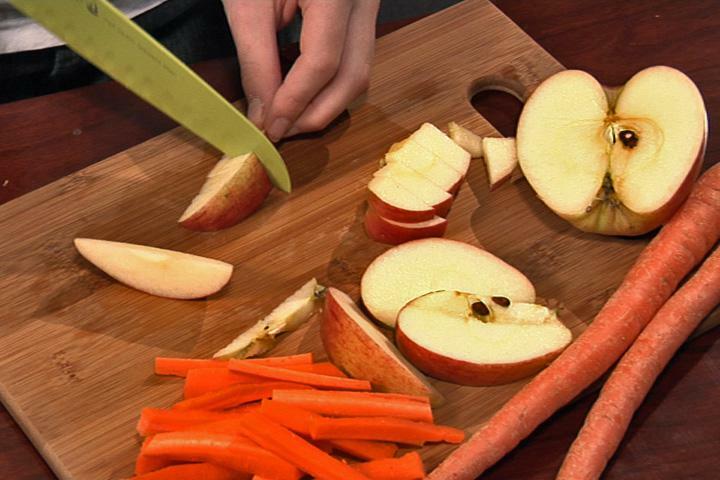 Hard foods, such as apples and carrots, should be cut into smaller bite-sized pieces. We want your braces to be as comfortable as possible. If they irritate the inside of your mouth, we can give you a special wax to cushion the area. If the wires break or come loose, call us. Keep your regular check-ups with your dentist and with your orthodontist. Braces are an investment in your health. Take good care of them so you will finish your treatment on time, and you’ll be rewarded with beautiful, straight teeth and a healthy smile. Now that you’re ready for braces, we’ll need some information to create a plan especially for you. We’ll take photographs of your full face and profile, x-rays to show the position of the teeth and roots, and an impression of your teeth. Depending on your situation, we may have to place spacers on your back teeth to make room for the anchors that hold the braces, or we may have to extract baby teeth to make room. To place your braces we bond a bracket on each tooth in very specific locations. Arch wires are threaded through the brackets. The wires are often held in place with small elastic bands. The bands come in a variety of colors, so you can choose your favorites. Although some kinds of braces don’t need rubber bands. We’ll recommend the kind that are best for you. Constant pressure from the arch wire is what moves your teeth. As each tooth moves, it creates a gap on one side of the bone that will be filled in with new bone cells, while the pressure causes bone cells on the opposite side of the tooth to break down. 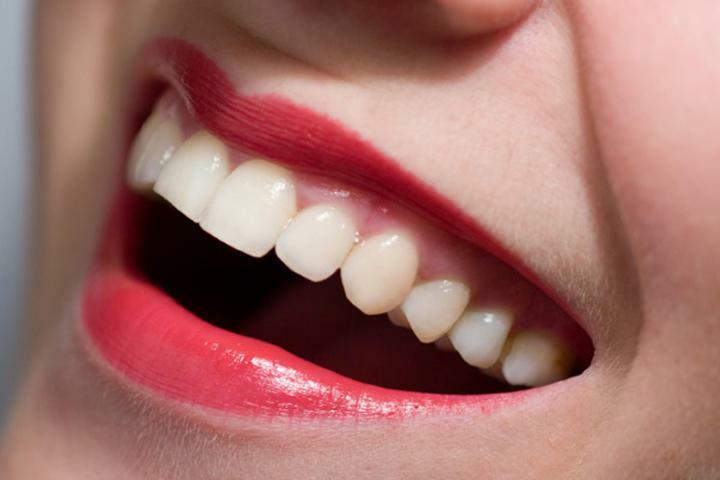 This process moves your existing teeth into their proper positions and helps them stabilize. Depending on the kind of braces you have, we’ll need to see you every one to three months to adjust the tension and make any necessary changes. Most people wear their braces for about 18 to 36 months. Your situation depends on how complex your case is, how well you respond to treatment, and how well you follow our advice. If you follow our tips on how to brush and floss with braces, and keep your regular appointments, your braces can give you a healthy and beautiful smile that can last a lifetime.